The Ford Custom has been on the news reports and many Facebook groups for the simple to bypass factory security. 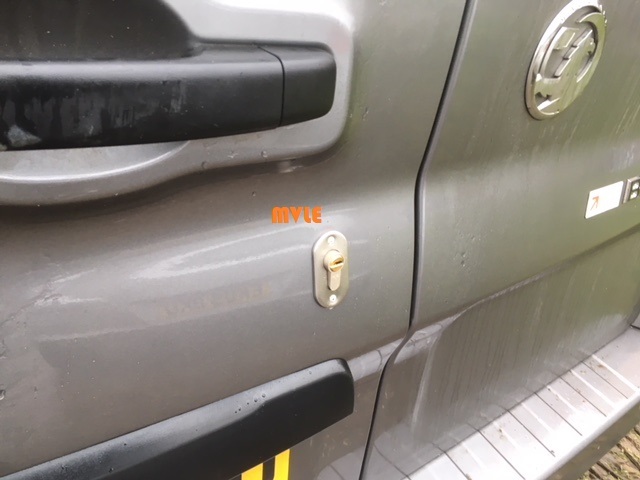 Ford have tried to sort the issue on new 2019 models with a small ring that sits around the original door cylinder the problem is thieves are just using a screw driver or bar in the original cylinder and still bypassing the door lock. 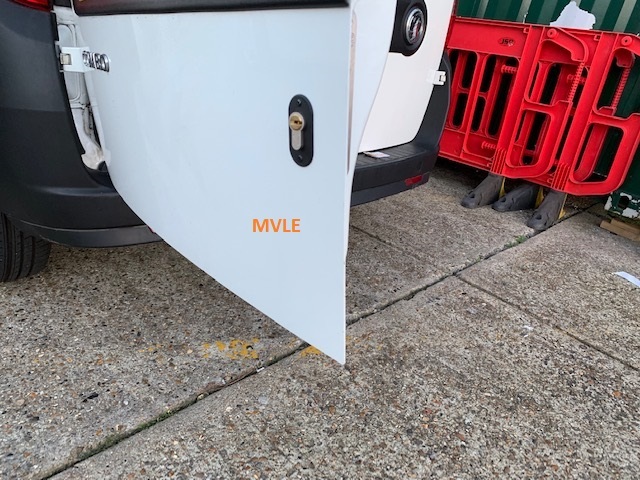 This security problem is a major issue for many tradesman, due to the vehicle being opened within seconds with either a pair of mole grips or a flat blade screw driver. The rep lock we fit has a reinforced bolt that is used to secure the cylinder within the original lock case on the vehicle. That coupled with the V3 bezel we use offers outstanding performance against attack. The V3 bezel just keeps spinning round if a pair of mole grips are used to attack the door cylinder. The key is only used within the rep lock in cases of emergency and the original Ford remote stops opening or closing the doors. This means you carry on using your vehicle as normal. But you can rest assured of excellent protection once the rep lock and bezel is installed. The Ford Connect is still a popular van for many tradesman. The engines in these vehicles go on forever ( providing the injectors are replaced ). 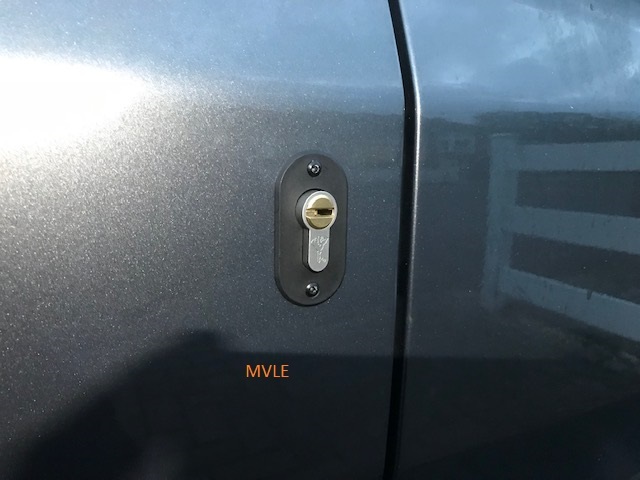 Sadly security is a major concern on these vehicles due to the drivers door lock unlocking all the vehicles doors and the original door lock can be picked in seconds. We only recommend installing our Thatcham approved deadlocks, these have a very large bolt throw to prevent the lock being prised apart from the fitting bracket. With the lock cylinders being Thatcham approved you can rest assured the locks can’t be drilled out. The cylinders take around 40 mins to drill out due to there advanced anti drill pins. We key all deadlocks alike meaning if you have between 2-5 deadlocks fitted to your vehicle 1 key will open and close both or all doors on your vehicle. We can offer complete packages for these vehicles due to a very limited number of these vans coming with any form of factory alarm. We can install Thatcham deadlocks to the load area and upgrade the alarm system at the same time for the best security. The Mercedes Sprinter is one of the most stolen vans in the UK. Our customer was looking to increase the security on the load area on this Sprinter. As such we recommended the Thatcham approved deadlocks these offer excellent protection when under attack. They have a long bolt throw giving the best security possible. The rear barn door lock case sits behind the Mercedes badge offering excellent defence against attack such as trying to bar the door open. due to the long bolt throw these locks will put up an excellent fight against the thieves. The locks are Thatcham approved meaning they come with a high spec cylinder which is anti pick and anti drill. If these cylinders are attacked using the drill method the drill bits will simply keep snapping. We key both the cylinders alike meaning 1 key will open and close both deadlocks fitted to the load area. We strongly advise upgrading the immobiliser on this vehicle due to key cloning and ECU swapping a very common form of attack. We can offer a wide range of products such as the Pandora Immo, Autowatch Ghost or the Starline I96. The Vauxhall Combo is often targetted due to a small few having any form of factory alarm. The main point of entry on these vehicles is the rear barn doors, theives will normally attack the rear barn doors due to there being a small key cylinder mounted within the plastic in the door. This is normally forced into the unlock position. The customer of the above van was targetted with this form of attack and lost £1000’s of tools and equipment. The van also had to go back to have the rear doors repaired and the lock cylinder replaced. 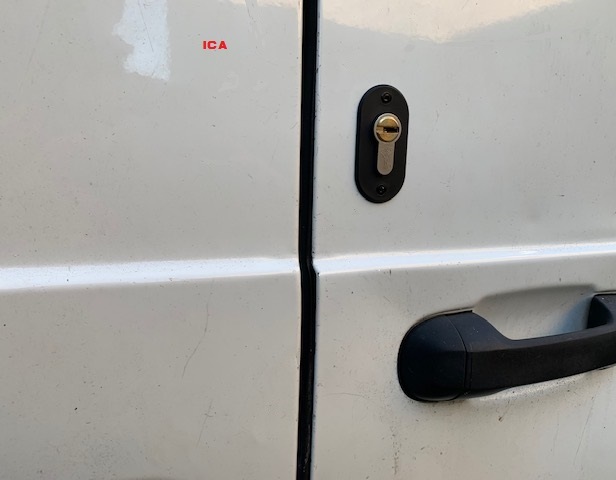 The Deadlocks we installed onto this vehicle were fully Thatcham approved and had a long bolt throw in order to secure the doors. These deadlocks also have brackets and fixings designed with this exact vehicle in mind meaning you get a sleek / neat install. Both the sliding door and rear barn doors were key’ed alike meaning one key locks / unlocks both doors. The Renault Trafic and Vauxhall Vivaro vnas have been a very large target for sliding door peeling / bending. This is a method used by thieves to steal the contents of the load area. This method is carried out by placing your knee half way up the door on the standard horzontal crease in the door. They then grab the top part of the door and force it towards them, this means the sliding door completely bends in half. Since we have been installing the Thatcham deadlocks in the higher location we haven’t heard of a single case of door bending or door peeling. This is due to the deadlock reinforcing the top part of the door and also the bracket we fix to the post pillar which is abosolutely solid and the deadlock bolt is thrown through this bracket for the best security. As with any deadlock installation we always recommend adding an alarm system with a rear mounted microwave sensor. This helps protect your load area equipment if thieves was to cut a hole in the roof of the van to gain access. 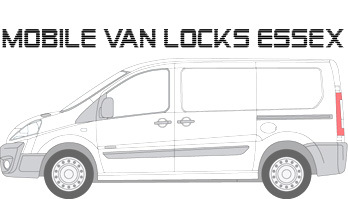 We are fully mobile and cover the local Essex area installing van locks and van alarms. With the Ford Transit Custom being one of the most common vans on the road used by many tradesman it is no wonder why it is the number 1 common target by thieves. 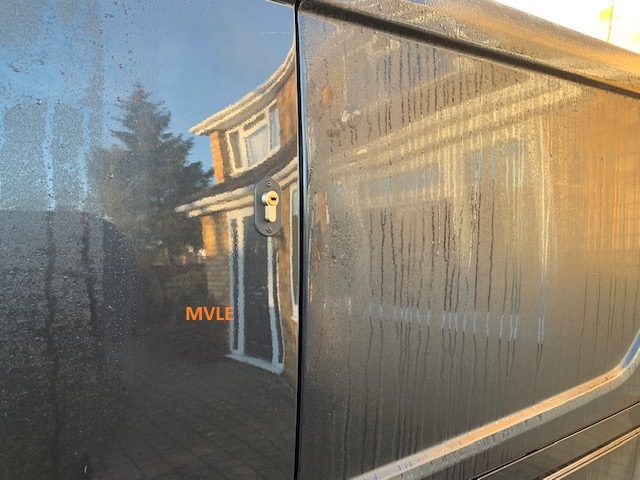 These vans suffer very bad break ins via the drivers door lock and by door peeling the sliding door which causes a massive amount of damage / replacement door required. Many customers are looking for the best security possible on these vehicles. 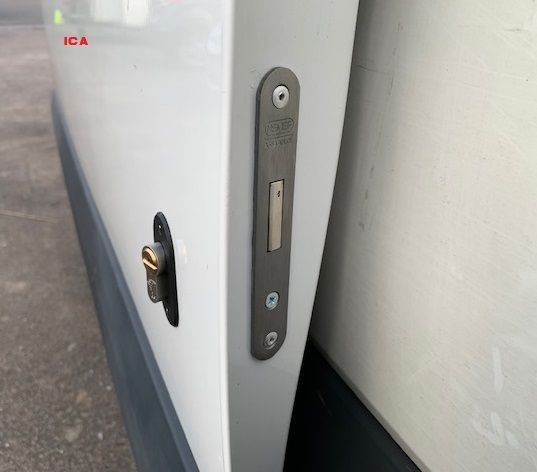 We suggest the very best Thatcham approved deadlocks which sit nice and high up on the sliding door, this prevents all forms of door bending / peeling which is commonly seen on these Ford Transit Customs. The Rear deadlock for the barn doors sits alot lower down on the door due to the metal being much stronger on the rear barn doors. The lock is also more secure being mounted lower down in the body work due to the metal being much thicker in that area. We have not had any customers report any thieves have got past these locks as yet. They really are the most secure and effective for this vehicle. We also strongly recommend upgrading the original drivers door lock. Even if it is a bad new 2018 custom which has the Ford fitted slip ring. These simply do NOT provide enough protection and you need to upgrade the door lock to give the best security possible. The replacement door lock we provide is full stainless steel with a v3 bezel, the lock iteself is bolted in position from the inside of the drivers door offering excellent security over any other lock on the market. We can provide the very best security for your Ford Custom Van in the Essex area. Feel free to give us a call on 07525 068291 to book your van in. The VW T5 and T6 series vans are very common to get broken into. You don’t hear about many break ins on these vehicles due to them not being as popular as other vans like the Ford transit for example. But they are very easy vans to break into. 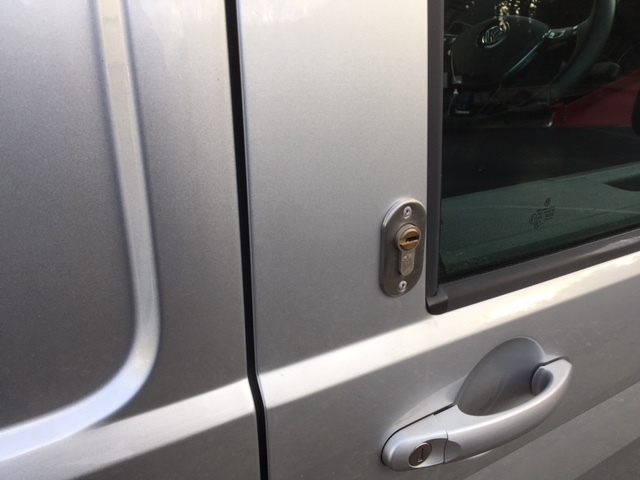 This customer wasn’t taking any chances and didn’t want to become a victim of a van break in, so decided to go for the best locks on the market. The Thatcham accreditied deadlocks which offer excellent security due to there very secure locking cylinder which features anti drill pins meaning the drill bits will keep snapping if anyone attempts to drill the lock cylinder. The high securiy cylinder also features a very high security key which has more pins than a standard euro cylinder meaning they offer better protection due to them being extreamly difficalt to pick the lock. The Lock cases which are used for installs are also designed with vehicles in mind meaning they have a large bolt throw and can’t be bypassed with a simple pry bar. Thatcham deadlocks offer excellent security over any other locking system on the market giving complete piece of mind when leaving your vehicle. We can key all deadlocks alike meaning 1 key will open and close all doors on your vehicle. All holes are fully rust proofed along with all swarf being removed from the door skin. 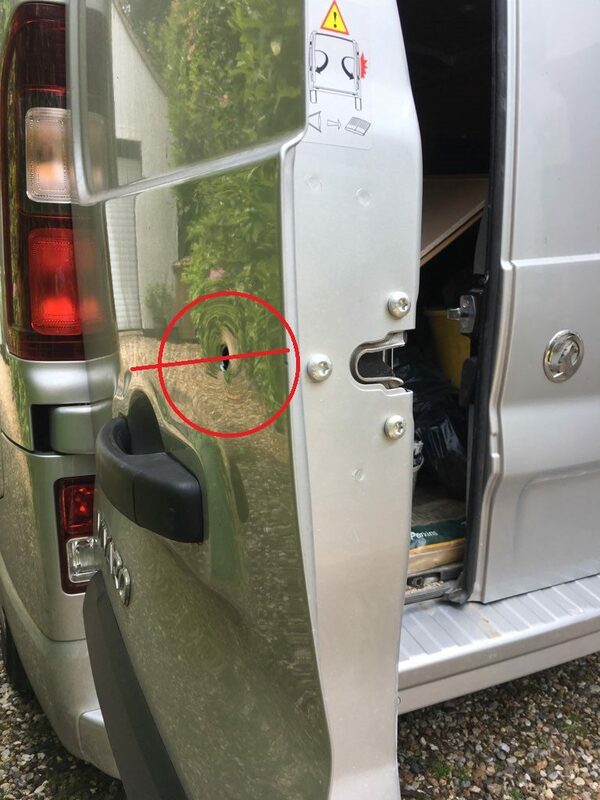 As you may be aware there are many issues with the Vauxhall Vivaro / Renault Trafic vans being targeted to gain access. Sadly next to none of these vehicles come with any form of alarm system from the factory meaning they can be entered in seconds. This is a major cause for concern for van owners that have not increased the security in any shape or form. 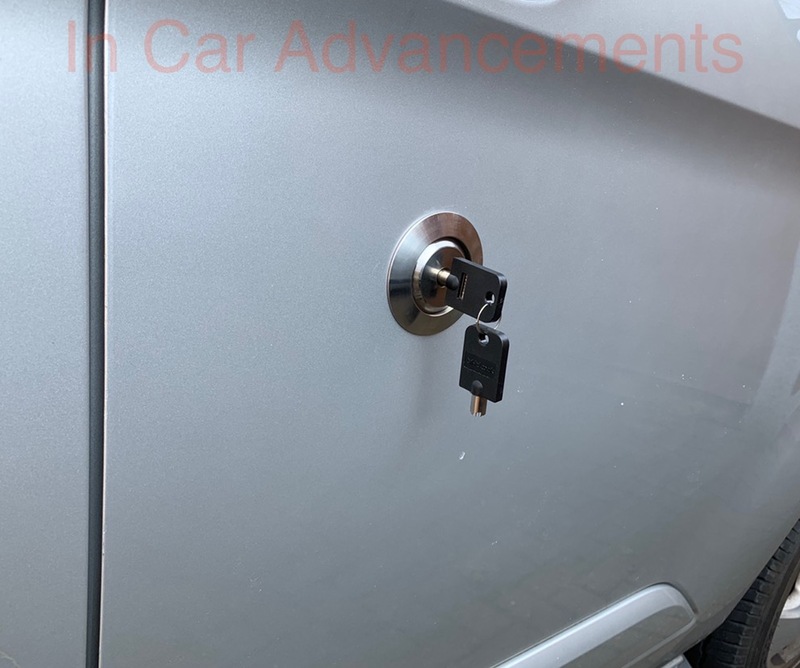 We suggest our Thatcham approved deadlocks for this vehicle due to these being more effective and secure over any other devices ( Such as slam locks ) on the market. Slam locks are NOT effective on this vehicle due to the slam handle still not protecting the original locking motor release ( Seen in the picture above ) The thief makes a hole in line with the locking motor and targets the release rod inside / gains entry in seconds. With Thatcham approved deadlocks the lock case is mounted else where and offers high security by firing a dead bolt across when you lock the deadlock. 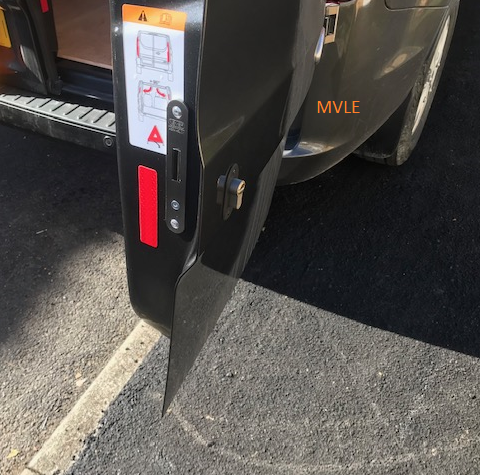 We have done a blog post on Renault Traffic / Vauxhall Vivaro deadlocks. If you would like to protect your vehicle call 07525 068291. The Vauxhall Vivaro / Renault Traffic is a very popular work van. But sadly is a major target for thieves, the normal method of entry is making a hole near the rear handle to attack the locking rod. Once they have knocked the locking rod the rear door will simply open. And due to almost none of these vans having an alarm as standard you are a major target with no locks fitted. We recommend the Thatcham approved deadlocks which offer excellent security for the sliding and rear barn doors. These locks are locked and unlocked with the key meaning you can never lock your keys inside the vehicle. Our Thatcham approved deadlocks come with 3 keys in total but both locks are keyed alike. Meaning one key will open and close both locks. All holes are fully rust proofed and the cutting swarf is removed from the door skin meaning you won’t get any rust issues in the future. All the brackets and fixings are all designed with this vehicle in mind giving you an excellent install once complete. We fit Thatcham deadlocks all over Essex at your home or workplace. Give us a call on 07525 068291 to book your installation today. The VW T6 is an excellent van but it sadly lacks security. And as such owners are wanting to secure there T6 vans with the very best Thatcham approved deadlocks in order to increase security. We provide an excellent security package for this which we fit Thatcham approved locks to the sliding, barn doors, and front 2 doors and offer a Cobra ADR Thatcham approved alarm upgrade. This prevents any type of attack which is commonly done to VW vehicles. Due to the locks being so easy to pick with a speed decoder a thief can open the door in seconds without damage. With our locks the doors can’t be opened and with the Cobra ADR alarm system the vehicle can’t be stolen via normal key cloning methods thieves carry out in order to steal vehicles. If you would like to increase the security on your VW T6 give us a call to arrange a booking on 07525 068291.